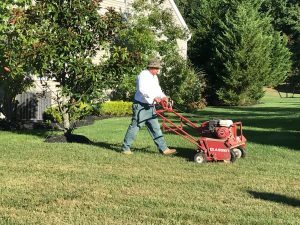 Summer’s warm weather and sunny days make for perfect conditions for outdoor activities at your home, but it also makes for a great time to work on your yard. Even if you don’t plan on doing extensive yard work this summer, there are still a few simple things you can do to greatly improve the appearance of your yard, all with minimal effort! One of the biggest things you can do in regards to summer landscaping is removing plants and trees that have died over the course of the winter and spring. Leaving dead foliage hanging around is not only an eyesore, but can attract a plethora of pests, such as termites, that can wreck your good plants and even your home. Do yourself a favor and get out the chainsaw or call in a professional service to take care of it for you. In the summer heat, you are going to want to make sure that your plants are adequately watered, as dehydration is a killer. 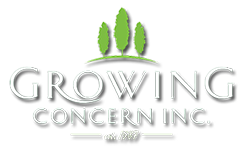 To tell if your lawn and other plants are being watered enough, you are going to have to look out for a few telltale signs. If footprints can be seen on your grass for a few minutes after you step on it, your grass needs watering. On the other hand, you can tell if your plants are being watered properly by grabbing a handful of soil, forming it into a ball, and squeezing. If the ball is damp and can keep its shape, then you, my friend, are watering just fine. Should the ball turn into dust, then the soil is being underwatered. However, if the ball crumbles in your hand and a lot of water comes with it, then your soil is being overwatered, which in some cases, can be even worse than under-watering. Do this check weekly to make sure your plants are getting the right amount of water. Finally, summer’s heat and prime growing conditions can lead to the growth of several pesky weeds. One way to prevent this is to mulch around your flowers and foliage. However, no defense tactic is perfect, and weeds can still pop up every now and then. When this happens, it is far better to pull them by hand than to rely on chemicals and treatments. Pulling by hand will remove the entire root system, ensuring that the weed cannot pop back up again in the future. So long as you stay on top of the weeding throughout the summer, it shouldn’t be too much to handle.